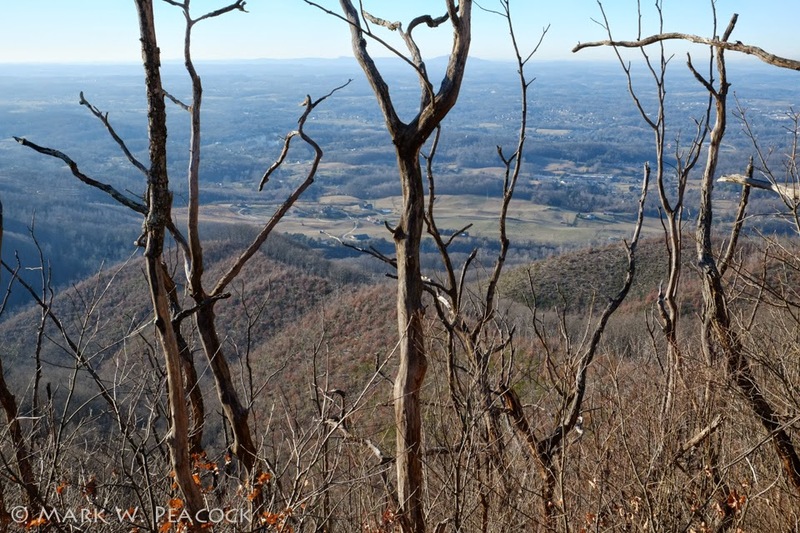 This is a steep hike up the west side of Buffalo Mountain to the mountain's summit (3,300 feet) (view pictured above). It's 3.6 miles round trip, with a 1,475 foot elevation gain. Expect a cardio workout with lots of switchbacks! 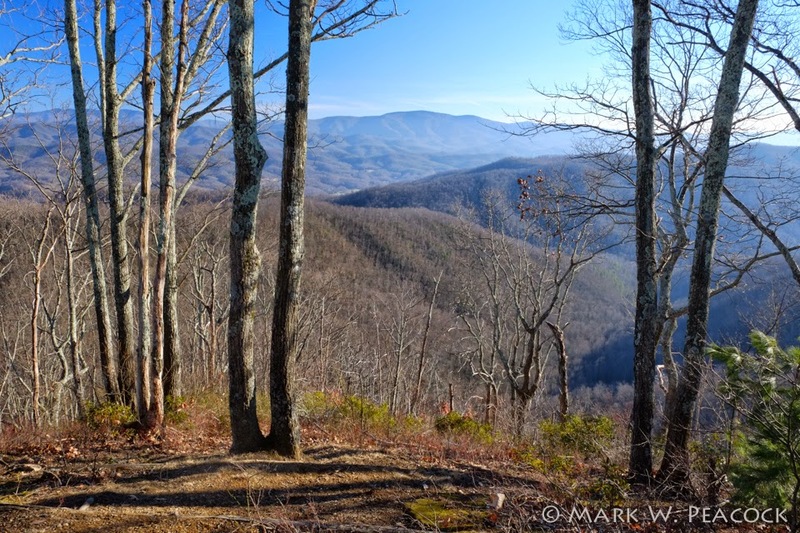 This is the perfect time of year for this hike -- with the leaves down you'll find beautiful views all the way up. Once you endure the switchbacks, you'll walk the ridge line and have great views in both directions. As you climb you will see the continued recovery of the trees and vegetation from the devastating 2008 forest fire. The trail is very narrow in places, almost like a goat path winding around the mountain. I wouldn't want to try this trail on an icy day or in spring when the trail is muddy -- the higher it gets, the narrower it becomes. Hiking poles are probably a good idea. 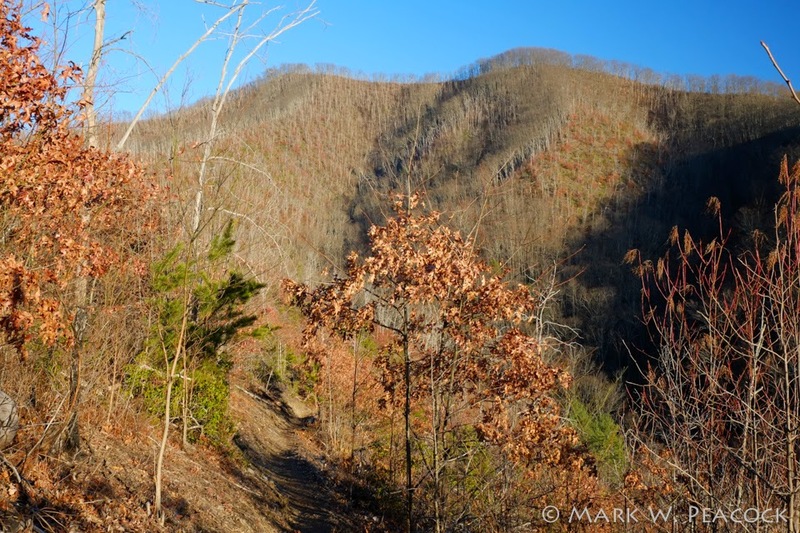 The photo above and to the left shows the first knob that you climb and the ridge you walk. You get a real sense of accomplishment when you see just how far you've climbed. :) This trail gives you lots of excuses to stop and enjoy the views. For directions and more information click here. 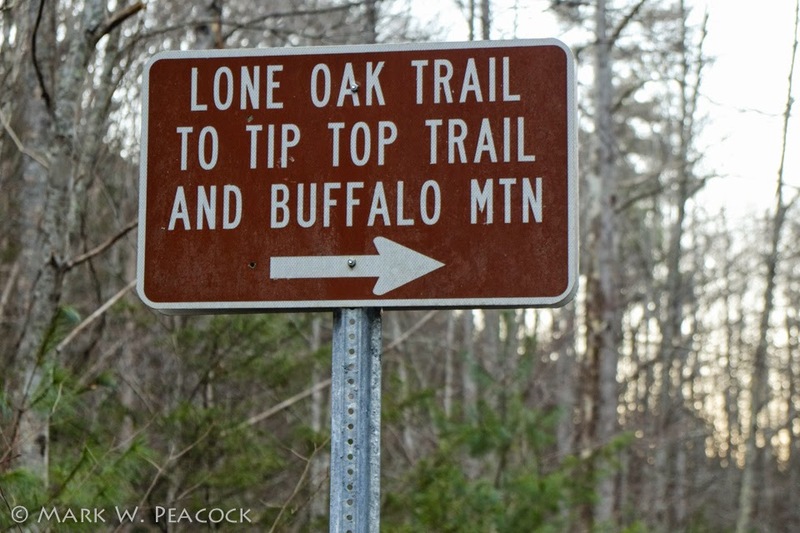 For an overview of Buffalo Mtn trails, click here. To read about the man who developed the trail, click here.